The shoulder is the most frequently dislocated joint in the body, which is mainly due to the difference in size between the large end of the upper arm bone (humerus) and the small space it fits into (glenoid cavity). 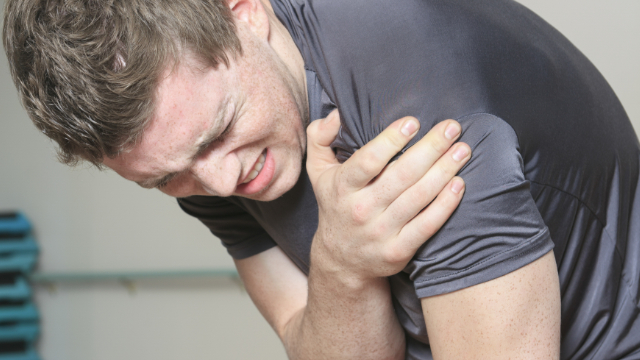 Shoulder dislocations usually occur after direct trauma or a fall onto an outstretched arm, and these injuries are common in sports like rugby, football, and hockey. Unfortunately, after a first dislocation, the shoulder can become unstable, which increases the chances of another dislocation occurring. This risk is particularly high in younger athletes and those involved in contact sports. Some studies have even suggested that the rate for regular shoulder dislocations is as high as 95% in young athletes who dislocate their shoulder once. These figures show why it's so important to prevent these injuries from occurring in the first place and rehabilitating them properly when they occur. Physical therapy that focuses on strengthening the shoulder is one of the best ways to accomplish this, but it's not clear which exercises are most effective towards these goals. Therefore, a study was conducted on the use of elastic bands and other strengthening exercises to improve joint strength in individuals diagnosed with a first-time shoulder dislocation.